Vientiane (VNA) – A photo exhibition highlighting the relationship between Vietnam’s Ministry of Public Security and the Security Ministry of Laos kicked off at the Lao ministry’s museum on August 29. The event is among a series of activities celebrating the 55th anniversary of the two countries’ diplomatic ties (September 5, 1962-2017) and 40 years since they signed a Treaty of Amity and Cooperation (July 18, 1977-2017). The exhibition showcases 93 photos, featuring the traditional friendship and cooperation between the two Parties, States, and ministries as well as bilateral coordination in the fight against crimes. 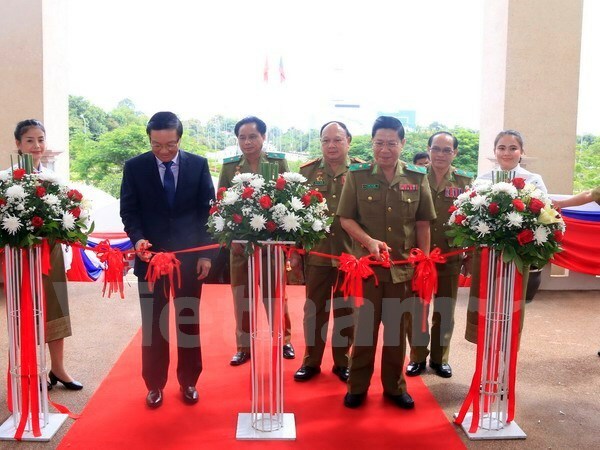 Speaking at the opening ceremony, Colonel Mala Vilachith, Head of the Department of Scientific Research and History under the Lao ministry, said that the exhibition is expected to help Lao people and the Vietnamese community in Laos understand more about the special solidarity and comprehensive cooperation between the two countries, and between the two armed forces. It also offers a chance for the two sides’ officers to remember their cooperation tradition so as to contribute more to nurturing the Vietnam-Laos relations, he added.